Robotic Mutants from another dimension have invaded our world! 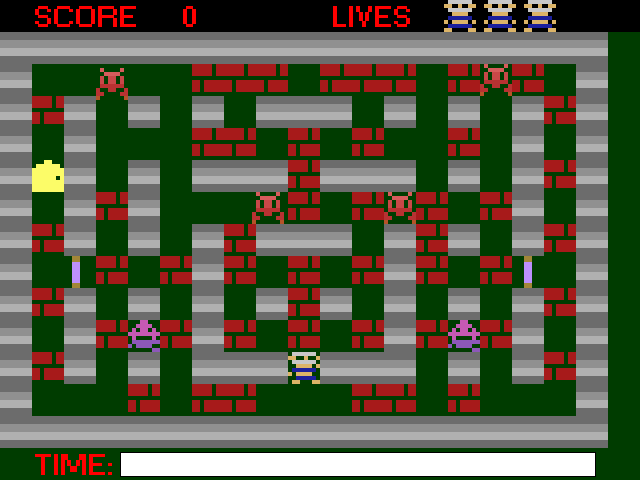 Led by the dreaded Roboctopus, the alien invasion is imminent! Scientists scramble together to create a robot that prevent the alien invsion and blast them back to their alien dimension. 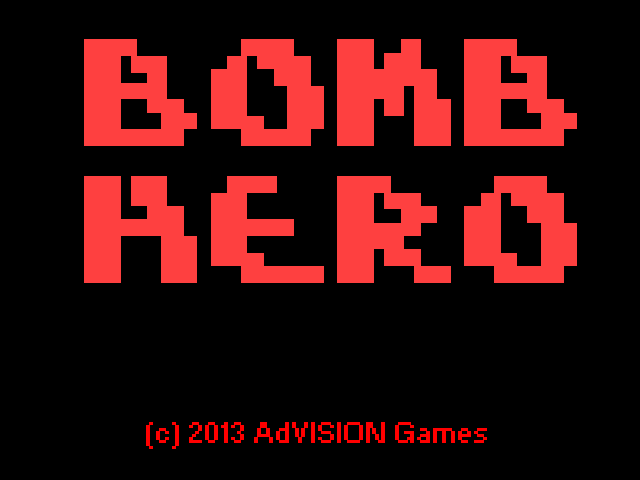 Only one person can save us now - Bomb Hero! 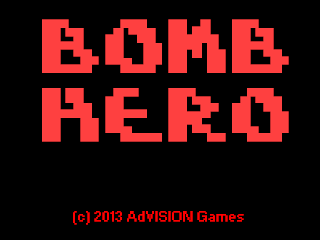 Control Bomb Hero with the ARROW KEYS or JOYSTICK. 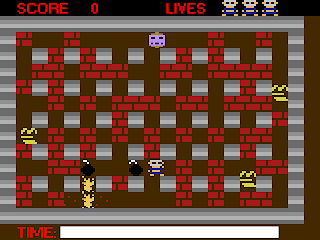 Press SPACE or FIRE to drop a bomb - but beware of the blast! 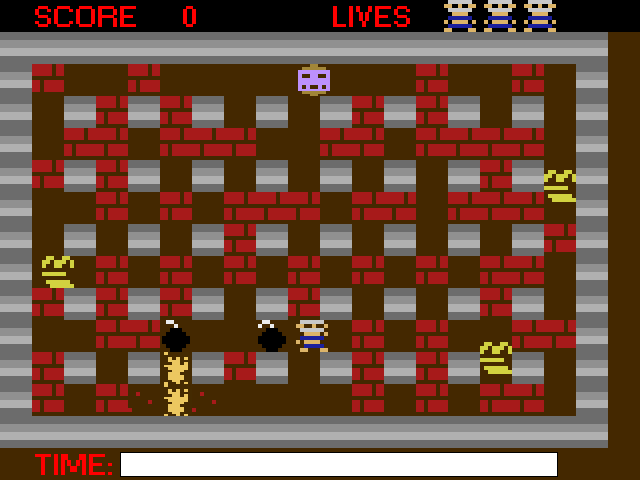 Use the bomb blast to destroy walls and enemies. 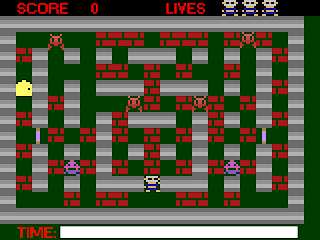 Locate the level exit, which is hidden behind one of the walls. Only once the stage has been cleared of enemies, the level exit will flash, indicating you may now exit the stage. Take care not to blast the door! 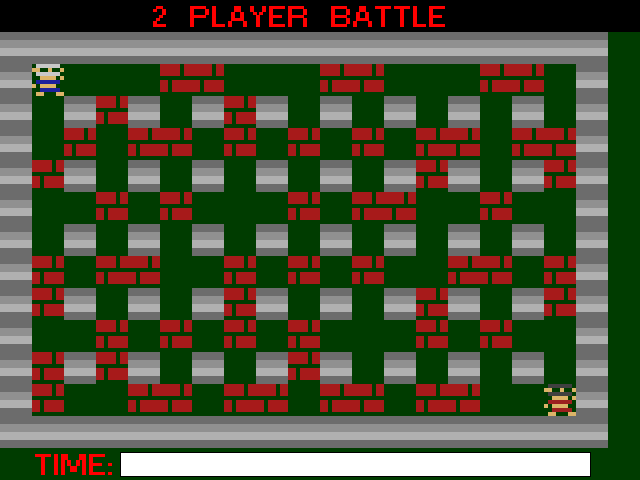 6 different levels, Boss Battle & 2 Player Mode.